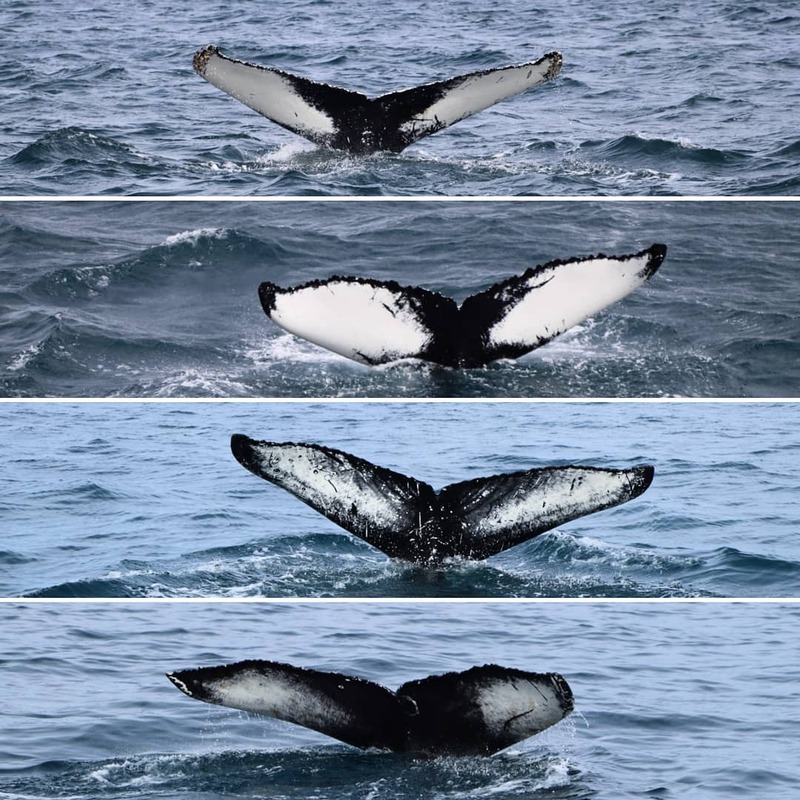 Watch our whales and enjoy a little sea angling at the end of the tour! Sea Angling is a great sport for groups and team building. The most commonly caught fish on our tours are cod, haddock, pollock and catfish. If you are lucky, you might even catch a giant halibut! We provide all the equipment needed for fishing and assistance by experienced guides. The sea angling tour is included in our whale watching trip and also as special tours for individuals and groups of all sizes. Each tour takes about 2,5-3 hours because we actually don’t have to sail far to catch quality fresh healthy fish, most of the time we catch codfish but also halibut and haddock. Our captains work as fishermen during winter time and we can almost guarantee that if you give sea angling a try, you will not come back to shore empty handed. By booking online you’ll receive a 10% discount of your booking fee when you check out! All tours are 2,5-3 hrs long. If you have any problem booking please call us at +354 867 0000 or send us an email to whales@whales.is and we will help you out. Free for kids under 7 years. Prices include 11% VAT. Included: 2-3 hour guided tour, coffee and refreshments, fishing rods and warm overalls. Tours are dependent on weather and sea conditions. For your safety and comfort, we reserve the right to change or cancel departures, even with short notice, should weather or other conditions change. In case of cancellations due to weather, customers receive a full refund or can change their departure depending on availability. 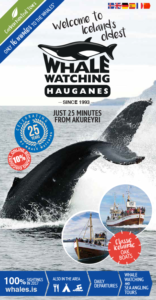 Whale Watching Hauganes is located in a small fishing village called Hauganes on the west coast of Eyjafjörður bay in northeast Iceland, just 30 min drive north of Akureyri on road 82. Please arrive in Hauganes at least 30 minutes before departure. We offer warm extra clothing, but we still recommend that passengers bring their own warm and waterproof clothes.